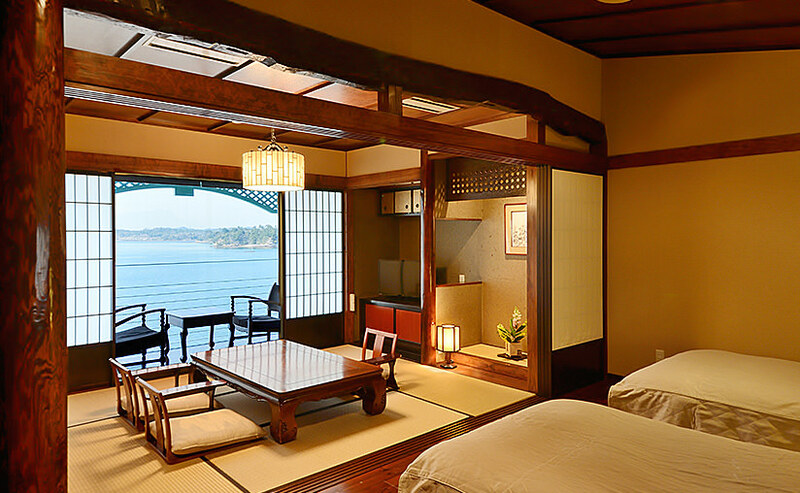 A luxurious room featuring a sea-view bath, an 11-square-meter Japanese-style room, and a bedroom with two twin beds. An upgrade sure to make your vacation a memorable one. 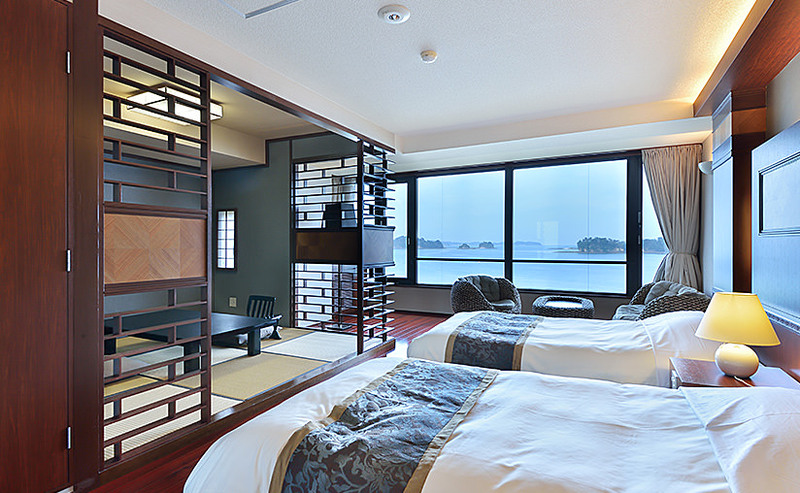 22-square-meter Japanese-style room with sea-view bath. The sea is so close, you could almost fish from the balcony. 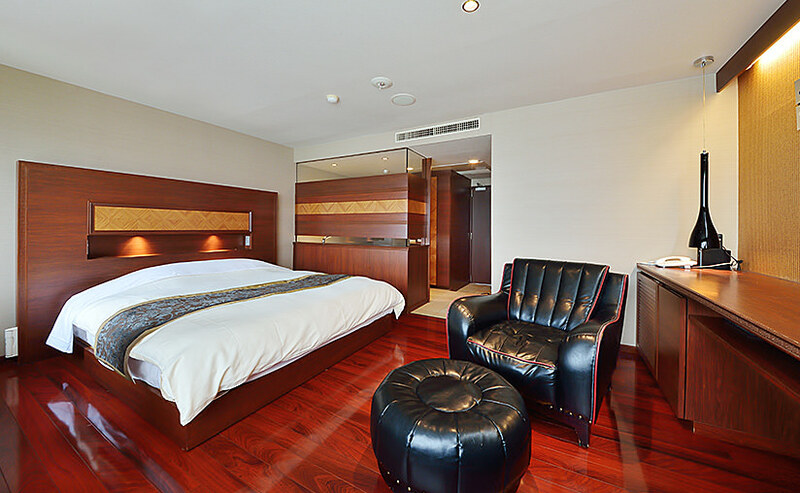 We recently completely renovated three corner rooms in our Main Building. 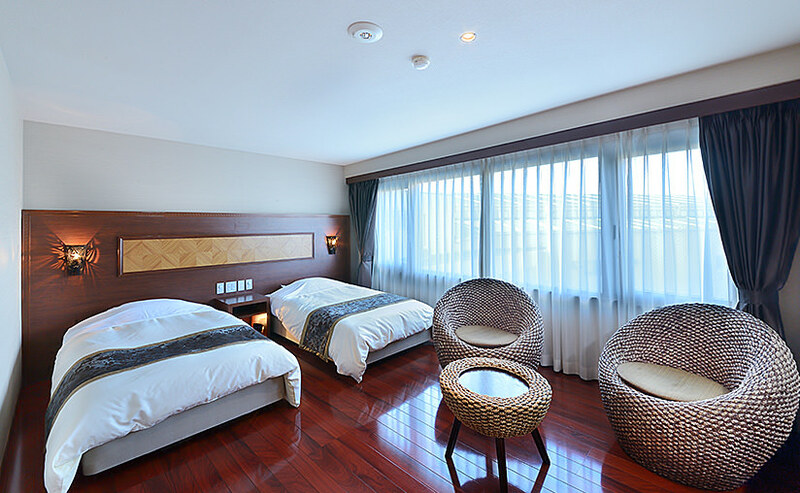 At 56 square meters, these are the largest rooms in the Main Building, and are decorated in a chic Japanese/Western style. 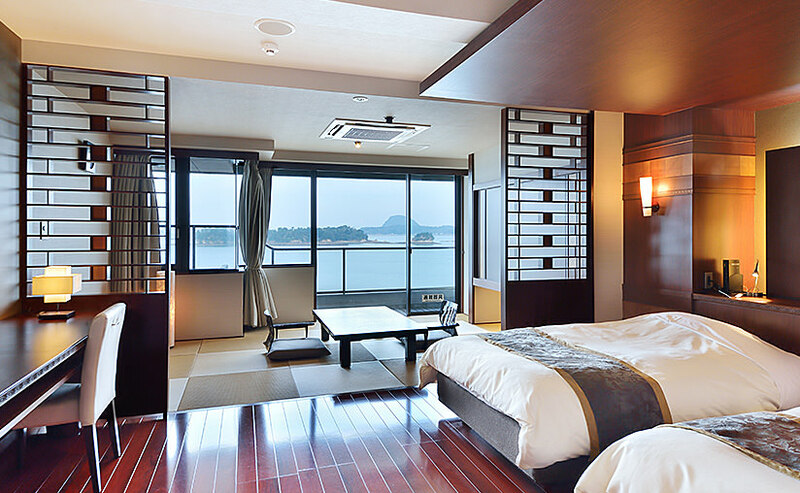 A breathtaking view of the many Amakusa islands floating on the Amakusa sea awaits you in these rooms with the best views at Hotel Ryugu. 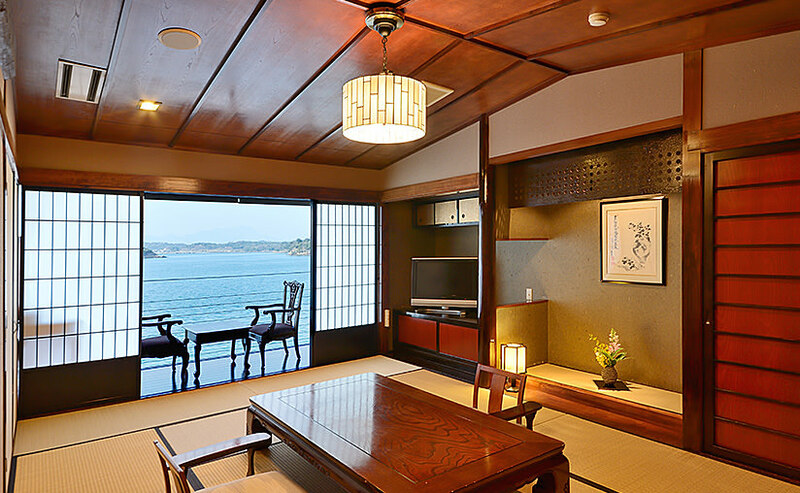 Rooms renovated in February 2016 that offer spectacular views of the Amakusa Matsushima islands. Stylishly decorated Western-style rooms renovated in March 2010. 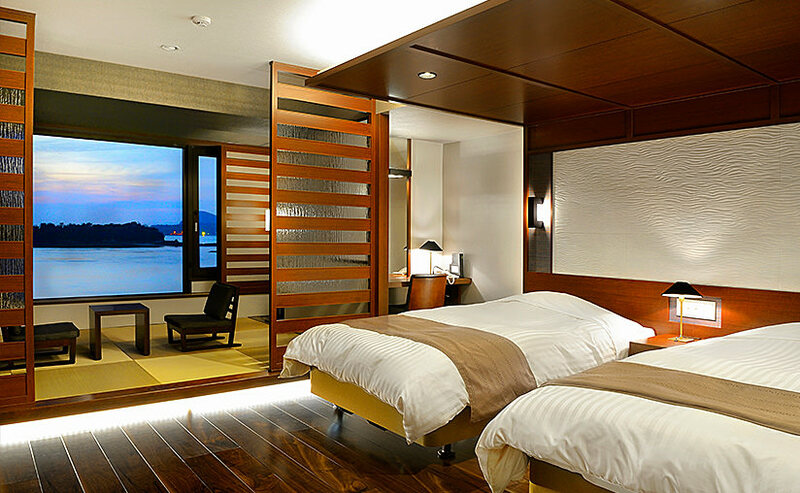 These rooms do not offer views of the sea, but, at 30 square meters, are quite spacious for a twin room. Relaxingly decorated double rooms renovated in March 2010. These rooms do not offer views of the sea, but, at 30 square meters, are quite spacious.